(Nanowerk News) Electrospray-deposited polymer films can be used to make organic light-emitting diodes (OLEDs) with better characteristics than those made from spin-coated films, according to Yutaka Yamagata of the RIKEN Center for Intellectual Property Strategies, Wako, and colleagues. These researchers have used a novel dual-solvent concept to make the electrospray-deposited films smoother than before, thereby enabling the superior devices to be built ("Thin-Film Fabrication Method for Organic Light-Emitting Diodes Using Electrospray Deposition"). OLED displays are strong competitors with LC screens like this one. 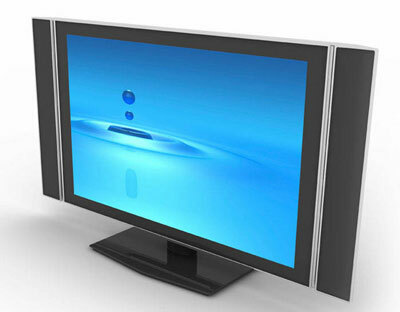 Organic light-emitting diodes are now entering the market place as screens for mobile phones and televisions (Fig. 1), and mass-production techniques are needed to simplify the manufacturing process and reduce costs and wastage. Previous attempts to use the electrospray-deposition technique for OLED fabrication have failed to produce polymer films that compete with other fabrication techniques. Yamagata and colleagues decided to use a combination of two solvents to improve this technique, which uses a thin glass capillary with the polymer solution stored inside and a conductive wire inserted in it. When a high voltage is applied between this conductive wire and the OLED electrodes on the substrate, the solution sprays out of the capillary end as atomized droplets that are attracted to the substrate by electrostatic force. This means there is little solution wastage as the spray is highly directed. They found that the first solvent evaporated rapidly after the atomization of the solution, leaving a small amount of the second solvent, which has a higher boiling point, in the droplets. When the polymer concentrations were finely tuned, the carefully chosen second solvent enabled the not-quite-dry atomized droplets to form a smooth, continuous film of high quality over the OLED electrode. Because the films dry quickly on the surface, it should be easy to fabricate multilayer devices without mixing of materials between layers.